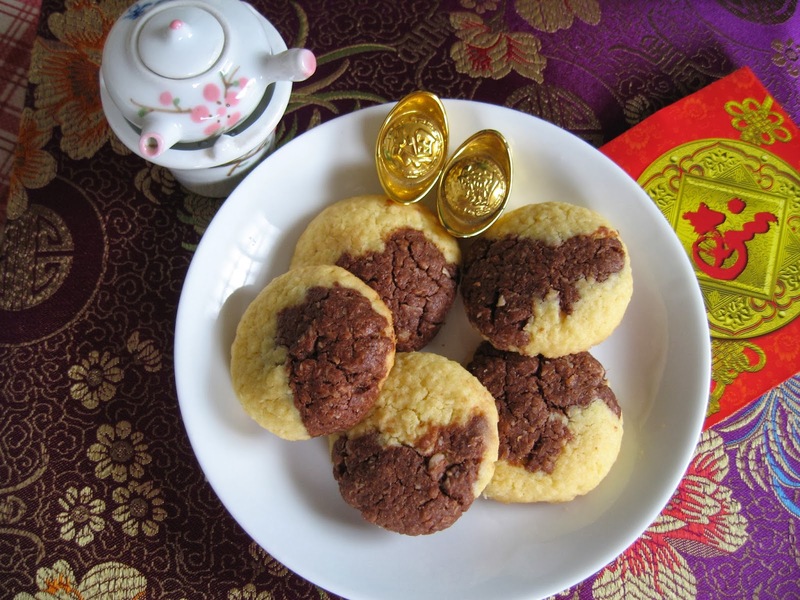 Seems like all the cookies are disappearing before the Chinese New Year! I am getting frantic as there are so many more traditional types of cookies which I have bookmarked to try out yet I never seem to get round to making them and they just got postponed year after year! Sigh! Twenty four hours in a day is just not enough! Now getting back to the assignment I have in mind today - coconut crisps. These are lovely. I just like the aroma of dessicated coconut baking in the oven. The fragrance of baking dessicated coconut so strongly permeating the air and wafting through my kitchen is a heavenly smell! Well, to me anyway! 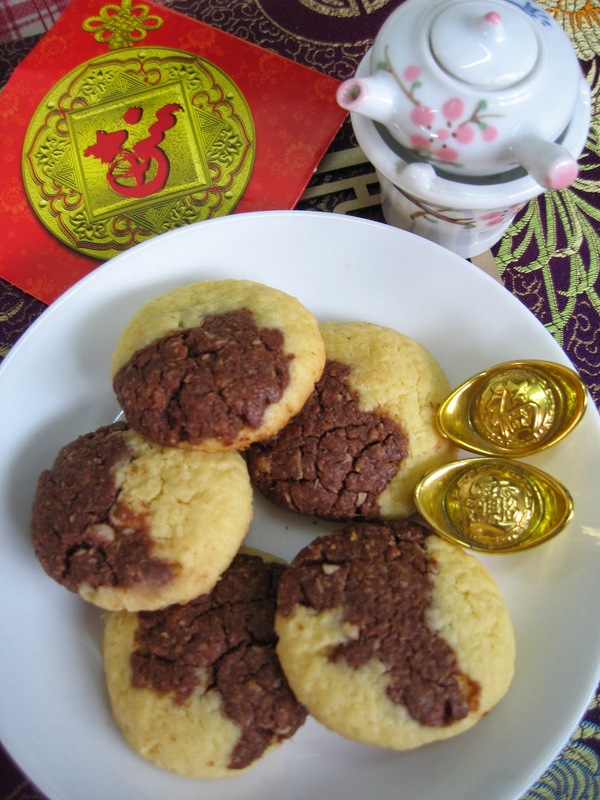 It took me back in time during my childhood as my siblings and I were anticipating sinking our teeth into the cookies baked by my late mother for the Chinese New Year. Gone were the days but happy memories remain. 1. Cream ingredients A for 1 minute, add beaten egg yolks. Beat until well blended. 2. 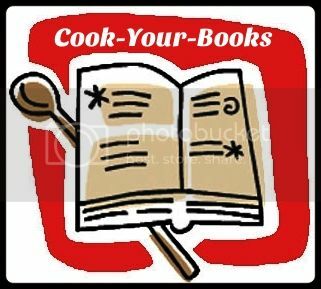 Fold in Ingredients C. Then add ingredients D and mix everything into a dough. 3. Take out one third of the dough and add cocoa powder to it. Mix evenly to form a cocoa dough. 4. Combine both dough together and mix well. Divide into 15g each and roll into rounds. Flatten the rounds slightly and place onto lined baking trays. 5. Bake at preheated oven at 150 degree C for 15 to 20 minutes or until golden. 6. Cool and store in air-tight containers. I know just what you meant, I wish there are more than 24 hours in a day! There are so many cookies that I planned to make, but have to abandon some of them! 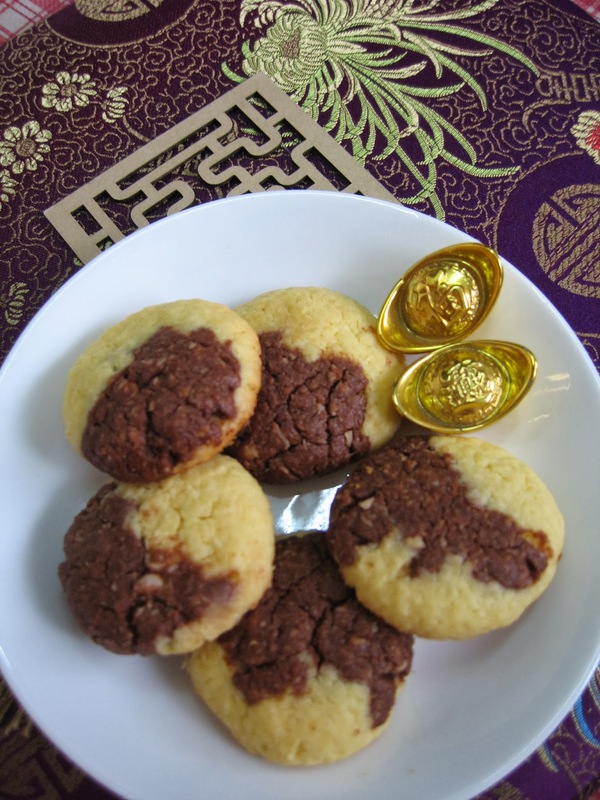 These cookies looks crunchy and tender! 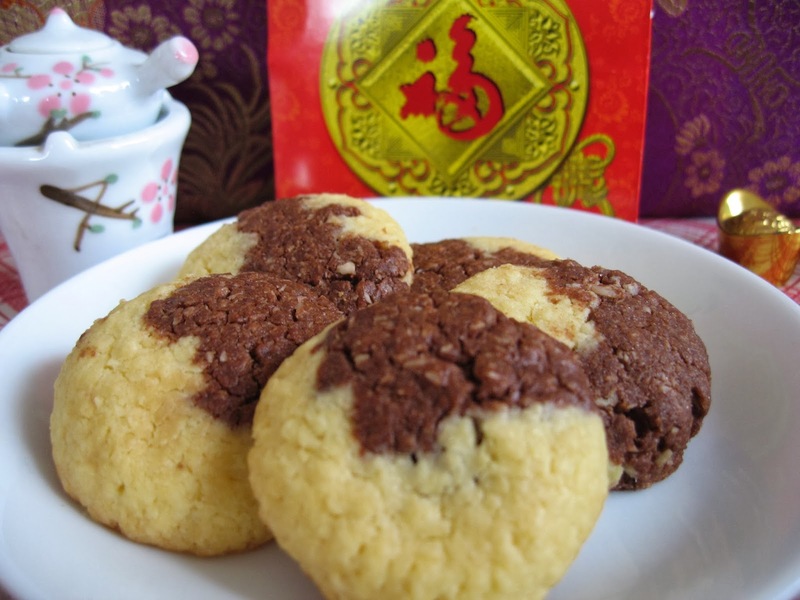 Coconut cookies are always great with a cup of Chinese tea or a mug of hot kopi-O! i didnt make much cookies, and they are disappearing fast too cos i only made small batches..testing..testing...hehe..will probably make again sometime soon. Looks like we are all affected by the mystery of the missing cookies.